You are here: Home / Portfolio / Hunter Douglas is at it again! New 2016 Spring rebates are here! Hunter Douglas is at it again! New 2016 Spring rebates are here! 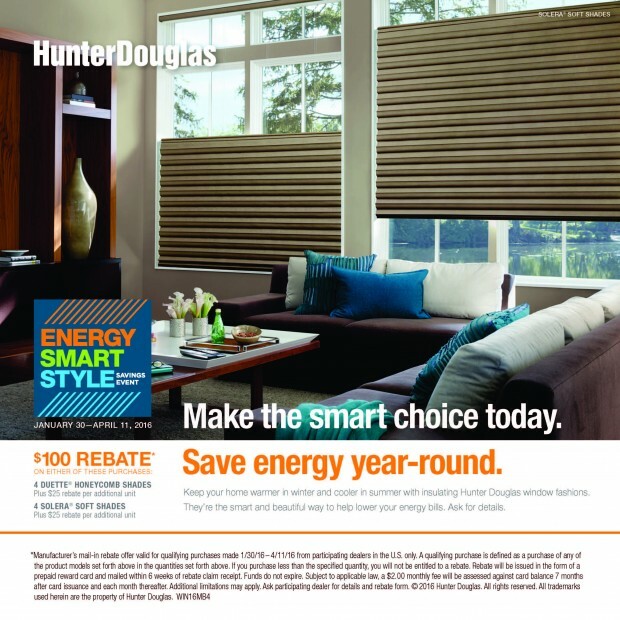 Beginning January 20, 2016 through April 11, 2016, Hunter Douglas is offering new rebate programs. Contact us today to learn how you can get back while getting your windows ready for Spring! Previous Post: « We did It! We are a recipient of the Best in Service Award from Houzz.